I want to buy some of these with my savings so I have everything I need ! If anyone can point me towards some second hand gear that would be awesome!! athlon and Sako851 like this. have a look at @Sarvo for boots. as for a rifle watch here for some good deals or even an old 303 with a reasonable barrel with open sights for a starter will do the job just add a reasonable recoil pad or a sporterised 6.5 x 55 is another good economic option. go to your local Cash Converters and browse their shelves . They have all sorts of stuff that might work for you . Boots need to be tried on before you commit to buy. You don't have to spend $150 on a day pack. $30 and it comes with a hydration bladder. It is even in camo! Where will you hunt mostly? Good luck with your journey. Sure is hell of a lot of fun. 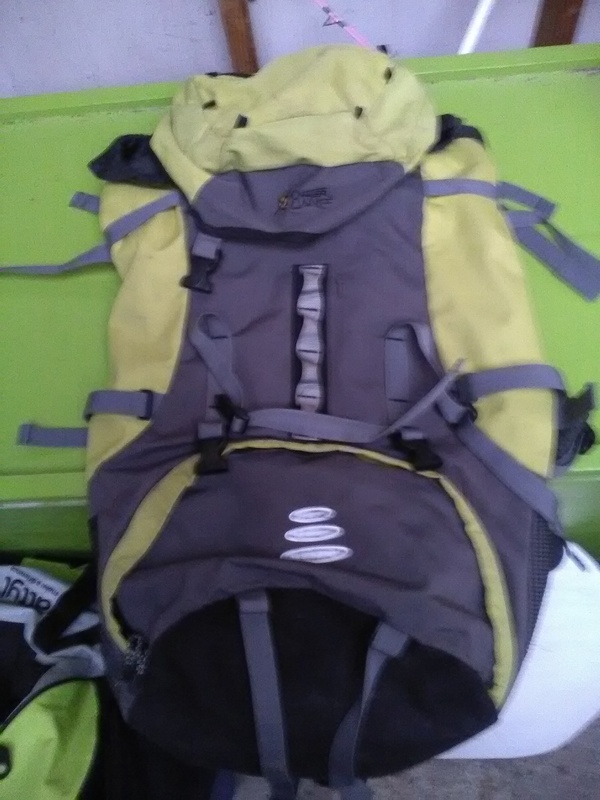 I have an old, well used pack you can have. 65 +10ltr. Can be used as a day pack although on the larger side. The pack has had 100's of kg's of meat lugged out in it, approx 15yrs old. Has adjustable harness. jakewire, Pengy, Bernie and 11 others like this. That’s awesome mate! Mum said how much would you like for it as that’s far to kind! Hey blade If you wanna learn to stalk deer I’m happy to take you out at some stage won’t be closer to near the end of year as I’m going away for work but the offer stands I don’t shoot many but happy to show you what I know ! Pengy, Gibo, Sideshow and 4 others like this. All yours cheif no cost. Haven't used it for a couple of years. Gibo, Mooseman, Sideshow and 5 others like this. At fifteen your most probably still growing so boots don’t buy the most expensive pair. Where are you likely to go hunting, what type of ground? Solomon gtx boots are a good set that will fit and last a few years. I’ve had mine for three and wear them every day. There just about stuffed now. They don’t dry very fast though and they can be cold. But if you wear good woollen socks you should be fine. Last edited by Sideshow; 09-02-2019 at 09:10 PM.